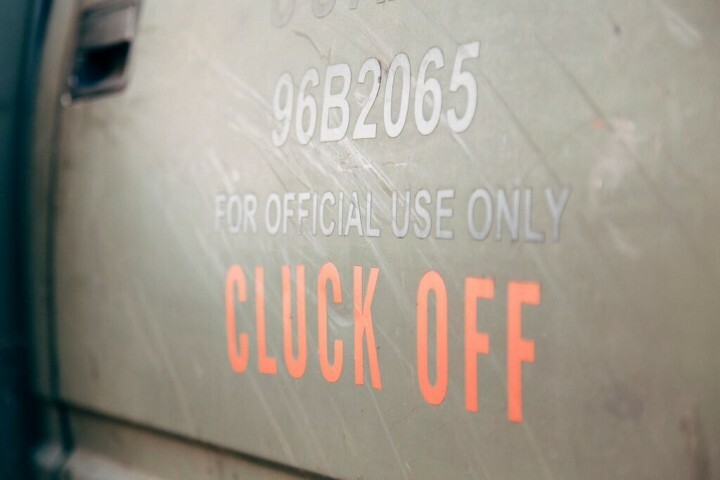 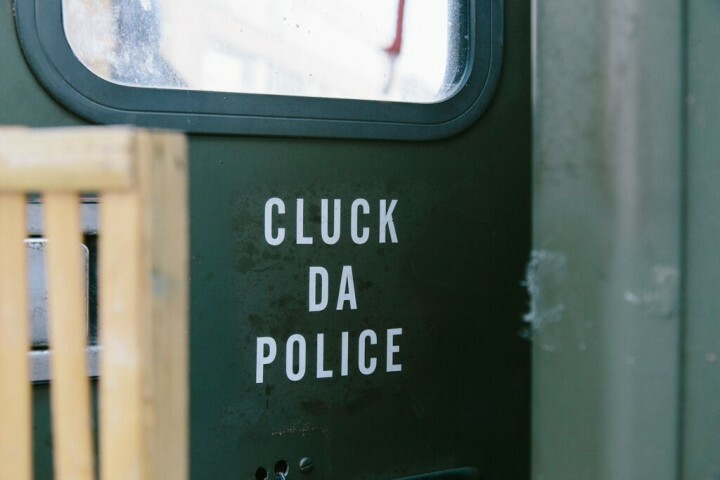 ﻿ The Cluck Truck | not tom. 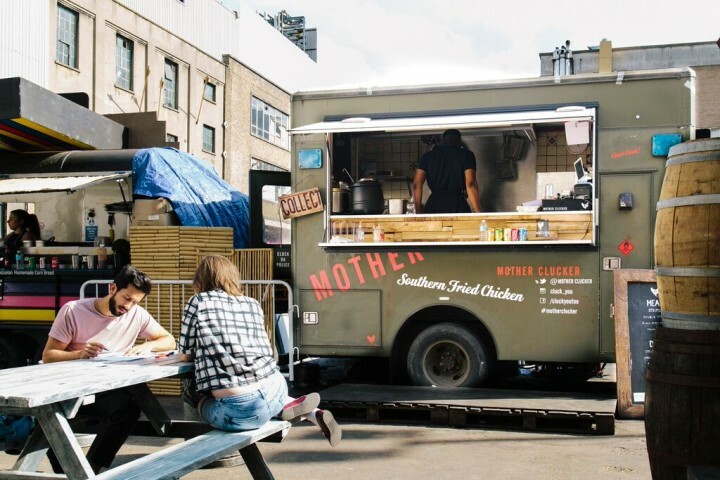 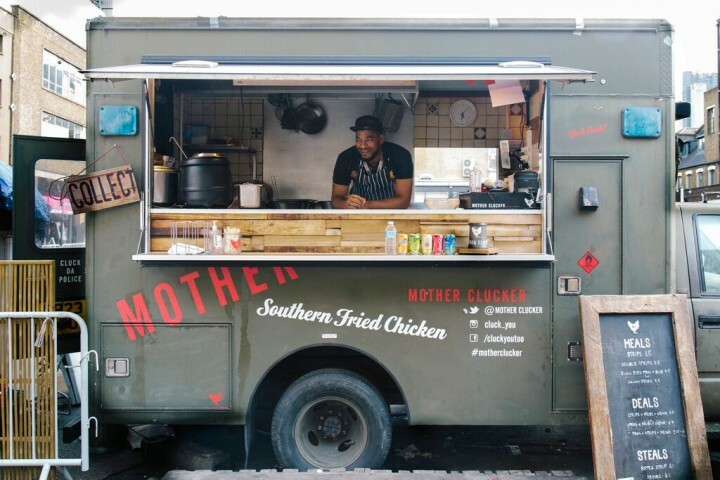 We were asked by our friends at Mother Clucker to create a new food truck – or ‘Cluck Truck’ for them so that they could take their amazing Southern fried chicken on the move. 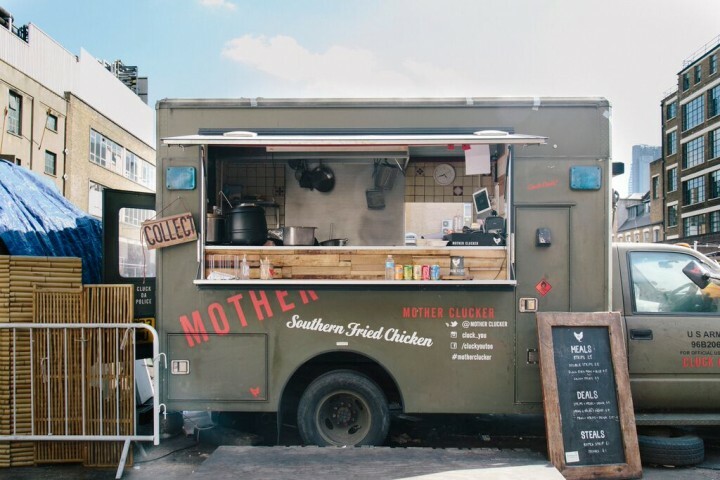 We weathered and stencilled designs onto a vintage US army style truck, in line with their branding, and created a specials menu and collection point sign for swift serving.